Following an intense year-long White Coat Waste Project (WCW) campaign, the U.S. Department of Agriculture (USDA) has just announced it is ending all cat experiments and adopting out the 14 cats remaining at its laboratory. The news comes just two weeks after WCW released its report exposing the USDA’s kitten cannibalism experiments using cats and dogs purchased from meat markets in China. The USDA is ending a research program that led scientists to kill thousands of cats over decades. WCW first exposed the USDA’s secretive 37-year-old kitten experimentation laboratory in May 2018 using the Freedom of Information Act, and launched a grassroots and lobbying campaign to end the wasteful program that wasted over $22 million and killed and incinerated more than 3,000 healthy kittens. 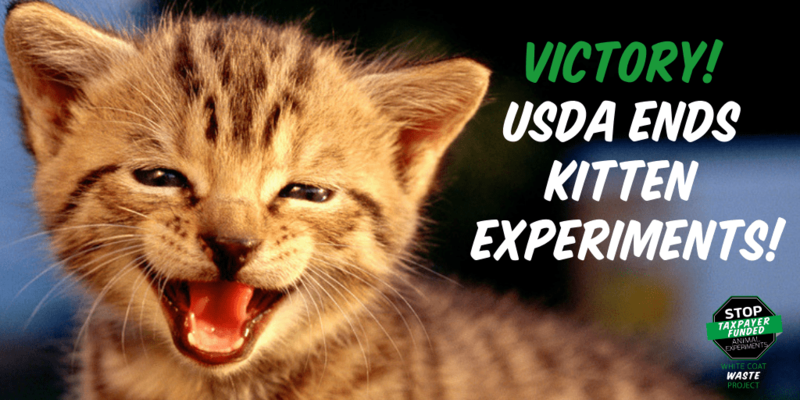 The USDA continued to spend $650,000 annually and kill up to 100 kittens in the project, but that’s now been stopped for good. Congress responded almost immediately to WCW’s exposé. 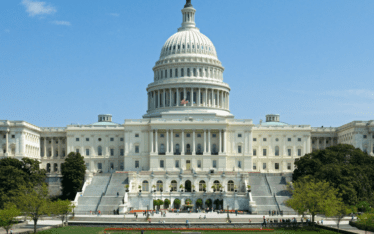 Representative Jimmy Panetta (D-CA), former Rep. Mike Bishop (D-MI) and Senator Jeff Merkley introduced the bipartisan KITTEN Act to end the USDA’s cat experiments. The bill, which was reintroduced for the new Congressional session just two weeks ago by Panetta, Merkley and Reps. Brian Mast (R-FL), Elissa Slotkin (D-MI) and Will Hurd (R-TX) has already garnered over 50 Republican and Democrat cosponsors so far this Congressional session. Last year, Congress and President Trump also enacted legislation urging the USDA to end the testing and adopt out the cats. This is an historic victory and we’re proud to share it with the 2 million WCW supporters who helped make it possible! It’s hard to believe what goes on behind closed doors. Thank God people who care and who shed light on the ridiculous torture of animals. It goes to show a few people can make a huge difference! Don’t ever be silent about the abuse of the voiceless! Thanks you!!!! We need to continue this vigilant care of the defenseless creatures God has entrusted in our care. First victory of many!! Next, hopefully every single dog and puppy shall be released and adopted out now, that being said, i hope all kittens AND ADULT CATS are included in this victory!! Im so greatful to god! Hes the reason change is happening! Ever since the DCMT was ended in the U.S.A. , everything is turning around all over the globe in favour of animal rights and laws! Thank you WCW for bringing this to light! Thank you to everyone who shared, signed and donated to the petition! Its time to end ALL testing in the U.S.A… Including in college, university, ALL LEVELS OF GOVERNMENT AS WELL AND, ALL ABUSE ECT AND ALL MISTREATMENT OF ALL ANIMALS! Meaning, make it so that we finally win the fight in all areas and all known and secret things being done to all animals including circuses, sea world, marinelamd ect, so that no animal is treated anyway but lke kings, queens and like beloved family members who ALL have and find amazing, loving forever homes or, a sanctuary where they are treated as stated above and be sheltered ect. Thank god!! Poor babies. I hope the remaining cats get good homes. Just curious. Will these individuals that conducted the experiments be out of work? I hope so! They don’t deserve to have jobs. What would they put on their resume, kitten torture and killing? Good point. They will simply write a grant and get a seemingly endless supply of funding, courtesy of the American taxpayer. “THE ANIMAL KINGDOM IS JUST WAITING FOR THE HUMANITY TO WAKE-UP because THEY KNOW WHEN THIS HAPPENS THEIR SUFFERING WILL COME TO AN END!”….CREATOR… AN AWAKE HUMANITY WILL HARM NO ONE! OMG what does the President and other morons mean when they say Muslims (or other races/countries etc) do not have the same respect for people and decency. One needs a backhoe to find where ever the US buried the bar last time. Thanks for the excellent work on this! The government doesn’t always do what it says it’s going to do, as we know, so I’m wondering if there will be follow up to monitor this situation. Also, these kittens are most likely already traumatized from the conditions that they’ve been kept in. They will need to be placed with people who can be caring and patient with the behaviors that they will exhibit as a result. “Kitten research”…factory farming, animal experimentation… “dog and monkey, cow pig, sheep and horse research”…USDA meat research center” very officicial sounding, but all just a cover for legalized and torture of animals, often subsidized by the public. This is a great victory! But what about the dogs? 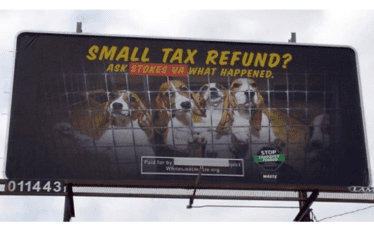 We are still fighting for the dogs: https://blog.whitecoatwaste.org/2019/04/01/this-week-the-cleveland-va-plans-to-kill-3-puppies-with-your-tax-dollars/. Stay tuned to our blog and Facebook page for the latest campaign info! What a wonderful outcome – I am sooooo happy. Thanks to all who have a heart and signed the petition. I look forward to the day when all of God’s creatures are treated with love, respect and compassion. Thanks to WCW and everyone involved for making these victories happen. Thank you, Freedom of Information Act, for letting this happen! Thank you. Your choice to stop the experiments has made a large impact on our world. It is time to stop this madness and respect all of creatures. Now I can call America cat-friendly again! Thank you! Keep up the good work. Let’s stop ALL animal testing. This is terrific news!!! Everyone who was involved in ending these experiments deserves a huge THANK YOU from all of humanity and all forms of life!!! Love triumphed over evil!!! This is amazing news!! Thank you WCW for all you do and for working to put an end to this barbaric testing of kittens! Shame on the US government for wasting our tax dollars like this!! So many of us are grateful to WCW for not giving up on the fight to be a voice for the animals. Hopefully, there is a special place in hell for humans who experiment and torture animals. This is so wonderful. We all fought for this and finally won! Now it’s time to get back to work to help to stop other animal abuses in labs. The beagles, the other dogs, the rabbits, etc…. Let’s all keep fighting for them too!! Thank you, thank you, thank you! God bless all of you for your determination to stop this! All the little angels we lost are now with God and no more suffering. God is crying out for our help as His Animal Kingdom is continually abuse by humans. The war to save our fellow beings must go on! Away we march on! Lo logramos entre todos este éxito ,DE LIBERACIÓN DE GATÍTOS EN EXPERIMENTOS. We Did It Guys; We Shut Down The Kitten Slaughterhouse. I’m So Proud Of This Community, We Did A Good Thing. 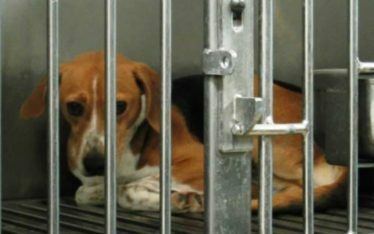 An eye Doctor is severing three Beagles spines this week at the Cleveland VA. The mutilation and torture continues. Animal testing is ineffective and not necessary. Please read the actual science. The Food and Drug Administration reports that 92 out of every 100 drugs that pass animal tests fail in humans. Forward-thinking scientists have developed humane, modern, and effective non-animal research methods, including human-based microdosing, in vitro technology, human-patient simulators, and sophisticated computer modeling, that are cheaper, faster, and more accurate than animal tests. Government finally got something right! Thank you God🙏🙏🙏. Thank you WhiteCoat Waste! Thank you all of the bipartisan Congress members who voted this horrible abuse be ended, and thank you, President Trump for signing the bill to end this torture.